PT.Transact+ Electronic Payments allow you to sell recurring direct debits to your clients. Direct debits (Recurring Invoices in PT.Transact+ terminology) are an amazingly convenient way of earning a recurring revenue stream by setting your clients up on an invoice that automatically debits their nominated account on a weekly, fortnightly or monthly basis. This not only means you can enjoy regular, predictable recurring revenue, but it saves you a lot of manual administration work because PT.Transact+ recurring invoices are "set-and-forget". Additionally, just like with their health club direct debit memberships, your clients can enjoy an affordable and easy way of paying for your personal training sessions and services. This short guide shows you how to sell a PT.Transact+ recurring invoice on direct debit to a client. It assumes your PT.Transact+ account is already set up with an Electronic Payments account and your client has already been set up with a Fitness Wallet. 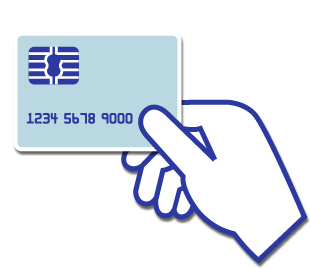 If you don't already have one, you can find out more about PT.Transact+ Electronic Payments accounts here. And the guide here will show you how to set your clients up with their own Fitness Wallets. This occurs for 12 weeks in a row. In PT.Transact+, tap the Big Blue button then select Make Sale or Payment to start a new sale. In the Invoice Item screen, enter the description of the package and define the number of sessions you want to allocate per week and the cost for those 3 sessions. You can tell PT.Transact+ when you want this direct debit to start by tapping Start Date. This is handy for situations where you are setting your client up on a recurring invoice today, but you don't want their debits to start until a particular day. For example, say you prefer all your client's debits to occur on Fridays. If today is Monday, you can simply set the Start Date to Friday's date and PT.Transact+ will ensure the debits start then. Tap Proceed (or the blue summary bar at the bottom of the screen) to continue with the sale. The next step in the process is to tell PT.Transact+ how often you want to debit your client, and for how long. Tap Recur Frequency and Recur For to set these. For Recur Frequency you can choose either Weekly, Fortnightly or Monthly. And you can set your debits to occur for up to a year. In this example, we are setting our client up so they are to be debited every week for the next 12 weeks. In addition to taking care of the direct debit for you, PT.Transact+ will assign 3 additional sessions they can have with you each time they are debited. This screen also shows you a summary of how this recurring invoice will work. In the example above, you can see it's telling us this invoice recurs weekly at $30 per week for the next 12 weeks, and that each week the client will be assigned 3 sessions. By the end of the 12th week, the client will have paid you a total of $360.00. Tap Continue to proceed to the Payment Method screen. If your client has been set up with a Fitness Wallet, it will default to Pay by Direct Debit. This means PT.Transact+ will automatically debit your client's nominated account via the payment gateway and you don't have to worry about chasing the money from your client or manually making payments in the app. Tap Continue to proceed to the last step. The final screen shows you a summary of the sale you're about to make, giving you a chance to make sure everything is OK before you complete the sale. Now's your chance to make any changes or correct any mistakes you've made. To make a change, tap Back to backtrack to the appropriate screen. Once you're sure the recurring invoice is set up the way you want it, tap Complete Recurring Sale. PT.Transact+ will set up the new recurring invoice and process the direct debit details with the payment gateway for you. Once everything has been properly set up for you, you will be shown the Sale Complete screen, containing a summary of the sale you have just made. You can use this screen to send a copy of this new invoice to your client via email. Congratulations! You've just sold a recurring direct debit invoice with PT.Transact+! You can view the details of this invoice by tapping on it in the Client Details screen. From within the Invoice Details screen, you can view the schedule for the debits by tapping Recurring Invoice Instalments. The Instalments screen not only shows you the schedule for upcoming debits, but it also shows you the status of each instalment (e.g., an instalment could be Pending, Paid, Submitted for Payment, etc). If you have any questions or need assistance with PT.Transact+ recurring invoices or any other related topics, you can contact our friendly support team from within PT.Transact+ itself. Simply tap Menu from the main screen, then tap Settings->Send Us Feedback.